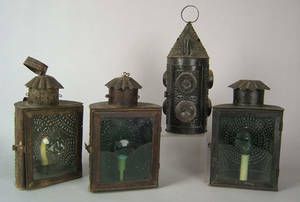 Four punched tinned sheet iron lanterns, early 19th c.
Four punched tinned sheet iron lanterns, early 19th c. , with bullseye glass panels. 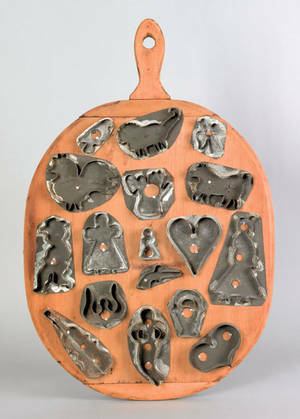 Provenance: Joseph Downs 1962. 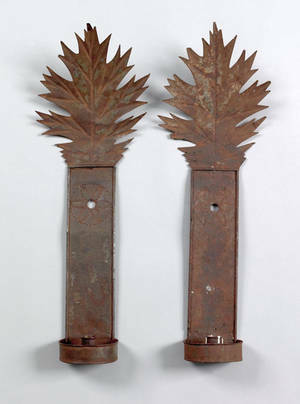 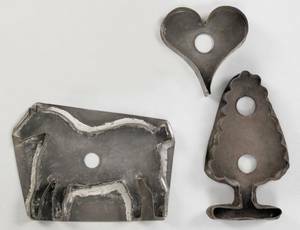 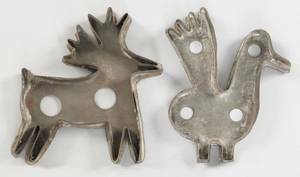 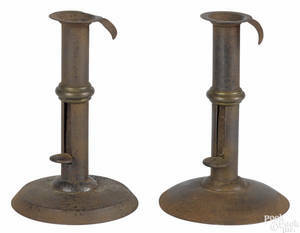 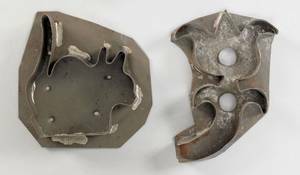 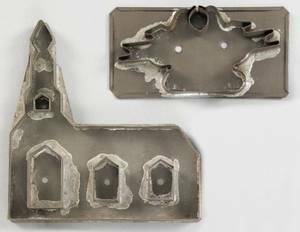 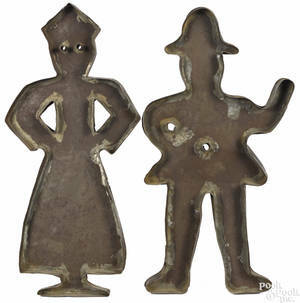 Archived auctions similar to Four punched tinned sheet iron lanterns, early 19th c.
Pair of tinned sheet iron sconces, early 19th c.
Mounted group of seventeen tinned sheet iron cookie cutters, 19th c.